My reading seems to be way ahead of my reviewing. But the books I’ve reviewed so far are different than the ones Kim has reviewed, so that worked out well. I loved Son of a Trickster. Some readers might find it too dark or disturbing, but I thought it was a wonderful read. Great for this time of year, too. All the characters were vivid, but Jared stole my heart. And the supernatural element added unpredictability to the story, which I thought was a lot of fun. To read my review in full, please visit my blog, Consumed by Ink. What are your thoughts on Son of a Trickster? Do you think it has a chance of winning the Giller? Kim’s second Giller short-listed book turned out to be a “zinger”. It’s a totally compelling read, one that makes you question the narrator’s sanity (and perhaps even your own) as the storyline becomes increasingly more twisty and bent in on itself the further you get into the book. It’s fast-paced too, which can occasionally leave you feeling slightly disoriented, as if you’ve got lost in the market and can’t find an exit out. 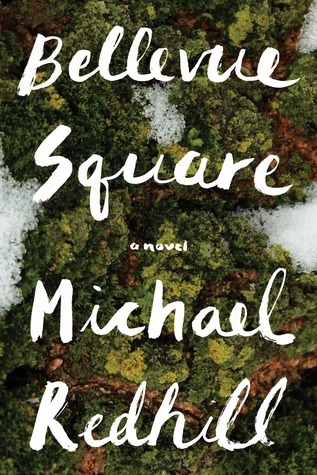 Bellevue Square is one of those novels that starts off as one thing before it morphs into another. The opening chapters have all the hallmarks of a mystery thriller, but mid-way through it takes a dramatic turn and becomes a wonderful examination of mental illness, consciousness, identity and the blurring of lines between truth, reality and imagination. When the book opens we meet first person narrator Jean Mason, who is married with two children and runs a bookstore in downtown Toronto. One day one of her regular customers, Mr Ronan, questions her ability to change clothing and hairstyles in a matter of minutes. Jean, confused, wants to know what he’s talking about. Jean’s continued denials make Mr Ronan angry and he becomes violent towards her. Later, he’s found dead in his apartment having hanged himself. To read Kim’s review in full, please visit her blog, Reading Matters. “I am a Truck revolves around the marriage between Agathe and Réjean Lapointe, who are about to celebrate their 20th wedding anniversary. The couple are devoted to one another and have cut themselves off from society at large, choosing to live in a small secluded cottage, where they shun the English language in favour of French. Their motto is “ll n’y a que nous”, which means “it’s just us”. However, a week before their big celebration, Réjean gets in his Silverado pick-up to go on a fishing trip with work colleagues and is never seen again. The Silverado was reported sitting next to the highway with the driver-side door open just eight hours after Agathe had kissed Réjean on the front step of their cottage and sent him off fishing in the rain with a Thermos full of coffee, four sandwiches au bologne, and a dozen date squares. 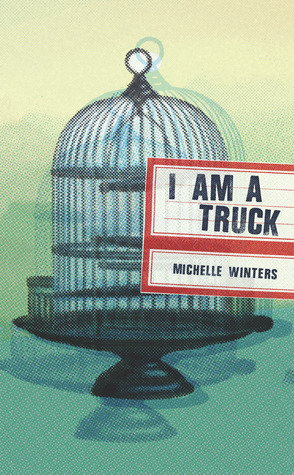 Read the rest of Kimbofo’s review to find out whether or not she thinks I Am a Truck is Giller-worthy. Has anyone else read this book? What did you think? Will it win the Giller? Sometimes we on the shadow jury like to get a jump start on the Giller books as soon as the longlist comes out. Sometimes these books end up making it to the shortlist, but often do not. That, however, doesn’t make them any less worth reading and writing about. Very early on, Kim had a review up of Next Year For Sure by Zoey Leigh Peterson. Here’s a taste of what she says about it. From the start I thought the premise of Next Year, For Sure sounded dubious, the sort of book I wouldn’t like, but I was pleasantly surprised by how entertaining and enjoyable it turned out to be. I ate it up in just a handful of sittings and even though I didn’t much like the characters — too needy, too self-centred, too feckless — Peterson does such a brilliant job of putting us in their heads, explaining their motivations, their concerns, their fears, that it was hard not to become totally immersed in their story. To read Kim’s review in full, please visit her blog. Several months ago, before the Giller lists had come out, I had read and reviewed Boundary by Andrée A. Michaud on my blog. Although I’m not a big mystery reader, I found that the heart of the story was about the community; how neighbours react and cope when a terrible crime hits so close to home. At times I found the story thrilling, at other times more of a study of time and place, but either way I found it compulsive reading. I was just as invested in the reactions of the characters as I was in solving the crime. One thing that I think made it particularly effective was the periodic narration of a 12-year-old girl vacationing in Boundary with her family. Seeing it all unfold from the eyes of one of the children – whose parents attempt to shield her from it – involved but not involved – trying to figure out the adults’ secrets – not quite knowing for sure – but sometimes seeing things the adults don’t see. More recently, I read We’ll All Be Burnt in Our Beds Some Night by Joel Thomas Hynes. A bold choice for the Giller list. But once I got into it, I realized how deserving it is. …once I got into this book I was engrossed by the character’s struggle with himself and with everyone else he comes across, and I was in awe of the author’s skill at creating such an unpleasant, angry, abrasive character who I felt nothing but sympathy for. I wanted him to be saved. I wanted to save him. There’s blood, drugs, uncomfortable situations, fire ants, sunburns, an accident with a moose, a run-in with his biological father, a fight with some teenage girls, and a lot of walking. During this time, our Johnny has a lot of time to think and to spout off at the world, and to try to figure out where he’s going in life. Will he be able to pull himself together to overcome all the stuff life has thrown at him, or will he just become another unknown, troublesome, invisible guy? Earlier today the shortlist for the 2017 Giller Prize was announced. The Shadow Giller jury will now swing into full reading and reviewing mode as we try to determine who we think should be the winner. We will announce our chosen title a few days before the official winner is named on Monday 20 November.